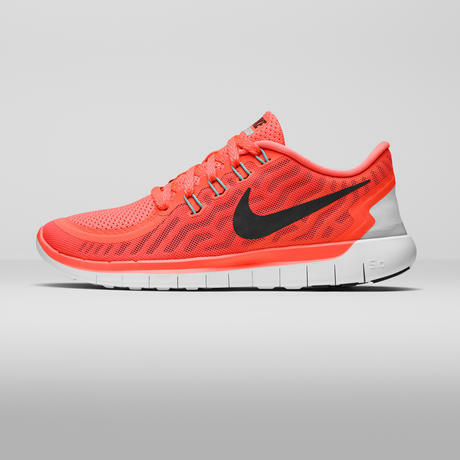 Sport-locker.net are delighted to show off the latest 2015 Nike Free collection of running shoes! 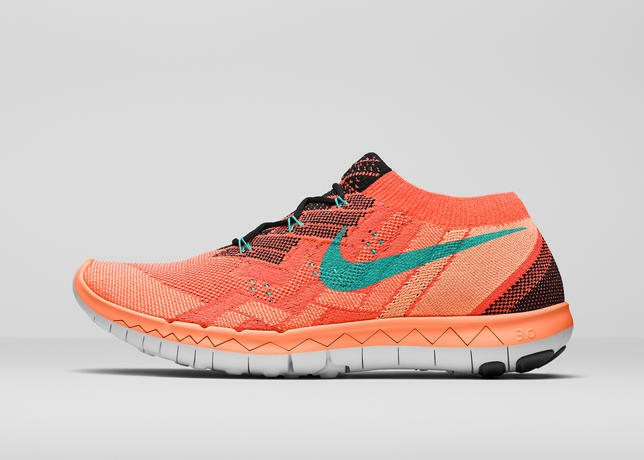 In the 11th year of the popular Nike Free franchise, Nike introduces three evolved running styles: the Nike Free 3.0 Flyknit, the Nike Free 4.0 Flyknit and the Nike Free 5.0. 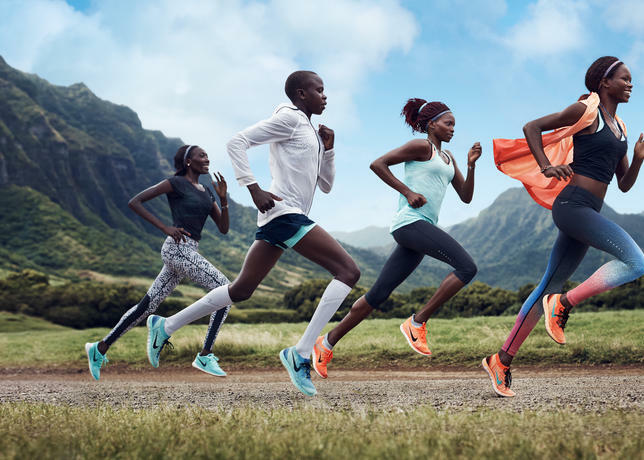 The new models take the next step toward harnessing the natural motion of a runner’s feet and body – not by adding, but by honing down to the design features that give runners a natural running experience. New features can sometimes mean added layers, seams and bulk – issues that often result in friction, more materials and a less flexible, natural fit. 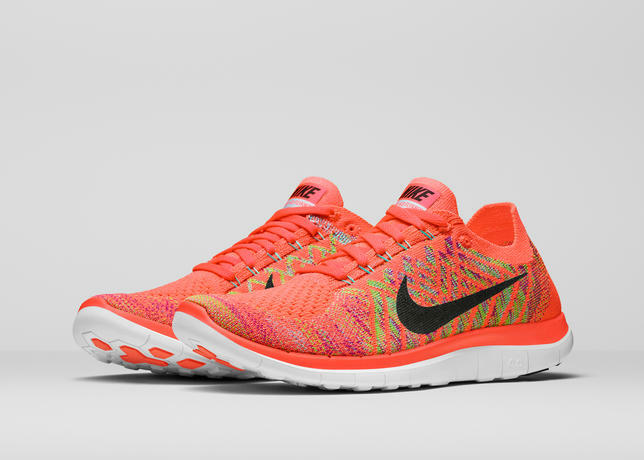 The Nike Free 3.0 Flyknit and the Nike Free 4.0 Flyknit have virtually seamless one-piece Nike Flyknit uppers that conform to the shape of a runner’s foot and offer support at the same time. Nike Flyknit technology allows designers to micro-engineer in areas of stretch, support and breathability exactly where runners need it. 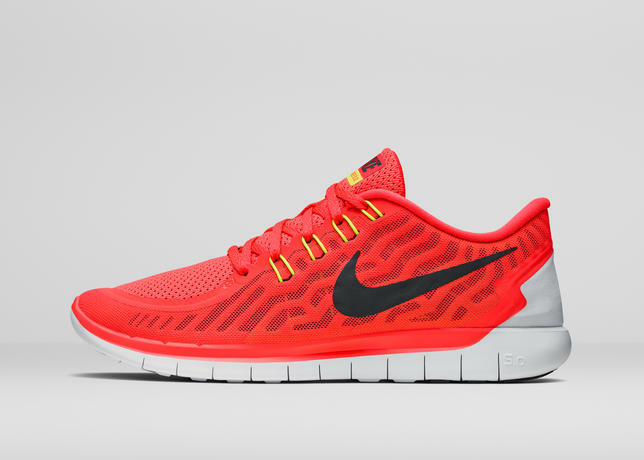 The Nike Free 5.0 shed layers this year and now boasts a full bootie construction that delivers seamless comfort and a flexible, lightweight ride. The mesh material used on the upper and the no-sew overlays also contribute to the overall lightness and breathability of the shoe. 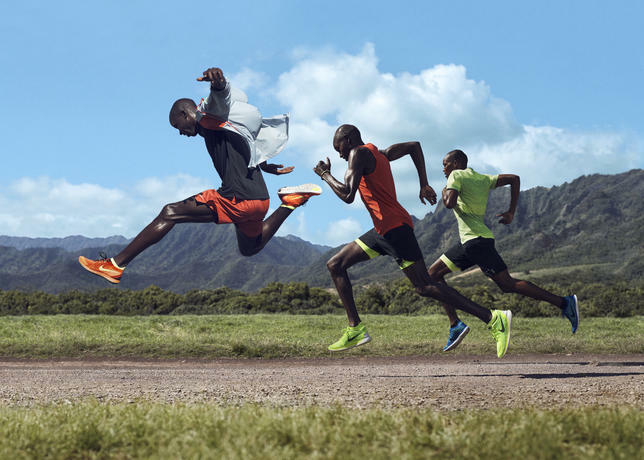 All three shoes feature Nike Flywire technology for lightweight, strong support around the midfoot and arch. 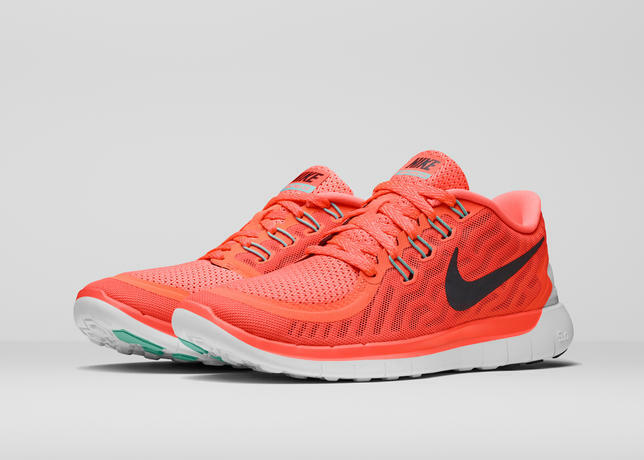 Runners who choose the Nike Free 5.0 will also notice a lightweight shoe, with Nike Flywire technology, no-sew overlays and a lightweight mesh in the upper. 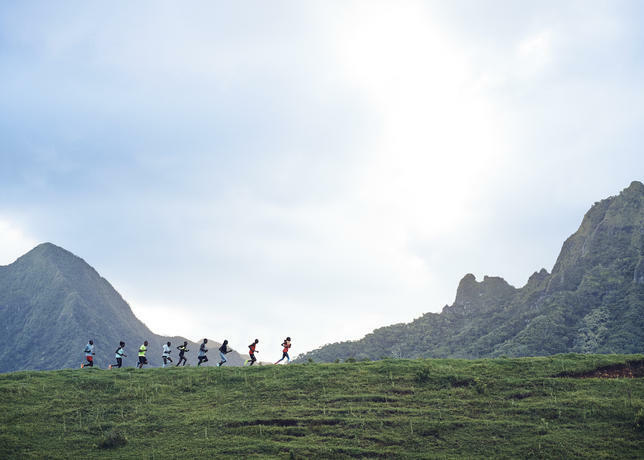 Shaving slivers of weight adds up when calculated over the course of a miles-long run. Nike Flyknit technology doesn’t just erase weight from the shoe; the advanced manufacturing process also reduces waste. Since Nike Flyknit technology debuted in the Flyknit Racer in 2012, the innovative manufacturing process has reduced waste by nearly two million pounds – equivalent to about three times the weight of the world’s largest passenger jet. While shoe uppers are traditionally constructed from multiple materials cut and sewn together, Nike Flyknit technology knits strands of yarn into a nearly seamless upper to create a lightweight, form-fitting shoe that provides maximum athletic performance with minimal environmental impact. Since Nike Flyknit technology debuted in the Flyknit Racer in 2012, the innovative manufacturing process has reduced waste by nearly two million pounds – equivalent to about three times the weight of the world’s largest passenger jet. 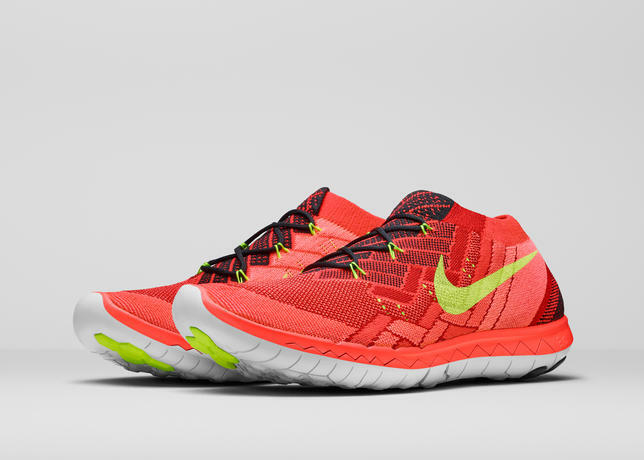 Nike designers don’t see Nike Free as a shoe made up of individual features. Instead, they’ve created an ecosystem in which each of the shoe’s attributes work in concert to enable the natural movement of the foot. 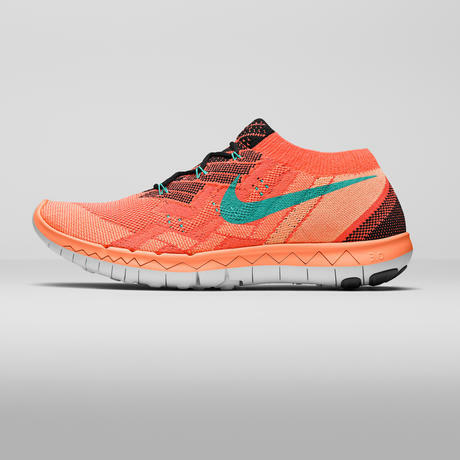 The form, materials and technology of Nike Free summer footwear harmonize to achieve 360-degree natural motion. 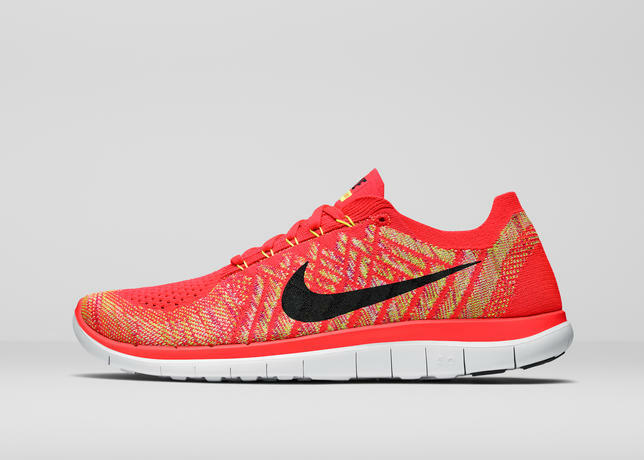 The Nike Free 4.0 Flyknit and Nike Free 5.0 are available through NIKEiD beginning March 23. The full Nike Free ecosystem will be available on www.nike.com and in stores April 2. 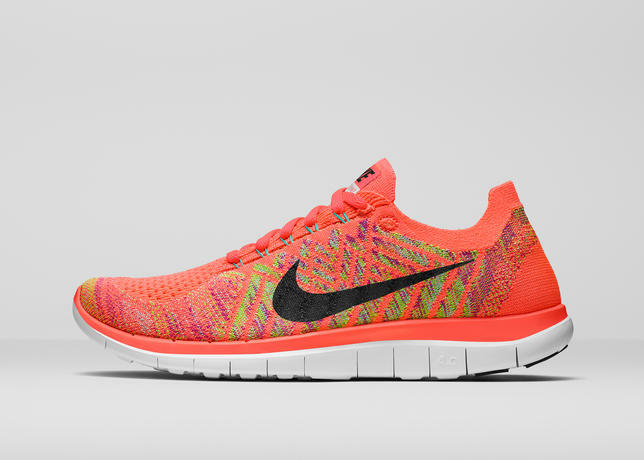 What do you think of the Nike 2015 Free Collection? Let us know in the comments section below or on our Twitter and Facebook pages.